I'm so excited about this that I couldn't wait to share it! I sometimes feel like a broken record when I say that the SECRET STORIES® is not a program, but easily accessible, reading and writing tools to be used throughout the instructional day, and across all content areas. In a nutshell, the Secrets™ simply provide learners with logical explanations where otherwise there would be none! That said, it's rare that I create something specifically for their use, since pretty much anything kids can read or write will work just fine! However, there are times when shining a spotlight on specific skills, or groups of related skills can be extremely helpful- especially for targeted reinforcement and assessment- and there's no better time or place to do this than in small, guided groups! 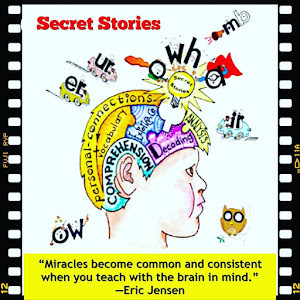 With the help of some amazing teachers from Stonewall Elementary in Virginia, I'm releasing a new series of SECRET STORIES® Guided Readers with highlighted SECRET STORIES® sound patterns! The SECRET STORIES® are in RED and OUTLAW WORDS are in prison-garb' font! In addition to the targeted phonics Secrets™, the Outlaw Words words are also identified within the text and printed in "prison-garb" font! The Word Jail is similar to a typical Word Wall, except that it houses only the worst rule-breaking offenders! We put these 'worst-of-the-worst' words in Word Jail so that we can "remember what they so that they don't get by us again" when we're reading or writing! For more details on how to create a Word Jail for Outlaw Words captured in your classroom, check out the series about them on my VLOG, or click below to watch the video below! 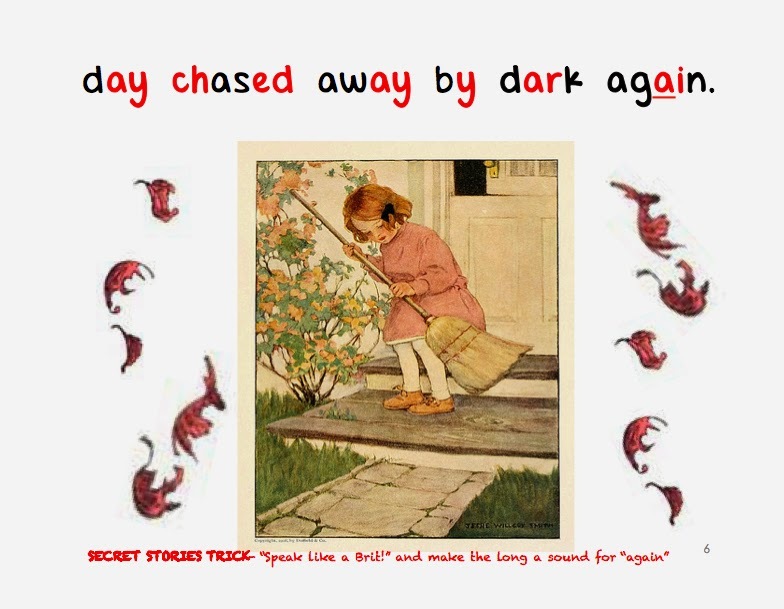 Each reader includes three different version of the story: a highlighted color version, a black and white 'easy-print' version, and a teacher copy- which has all Secrets™ highlighted (not just those targeted) for quick and easy visual reference when introducing new Secrets™and reinforcing older ones during guided group time. Notice the "Mommy e" in PINK, as well as the vowel that she's telling to "say its name!" This first reader, In the Fall, will be followed by additional readers to be posted by the end of this week, so stay tuned! Okay, so back on track.... 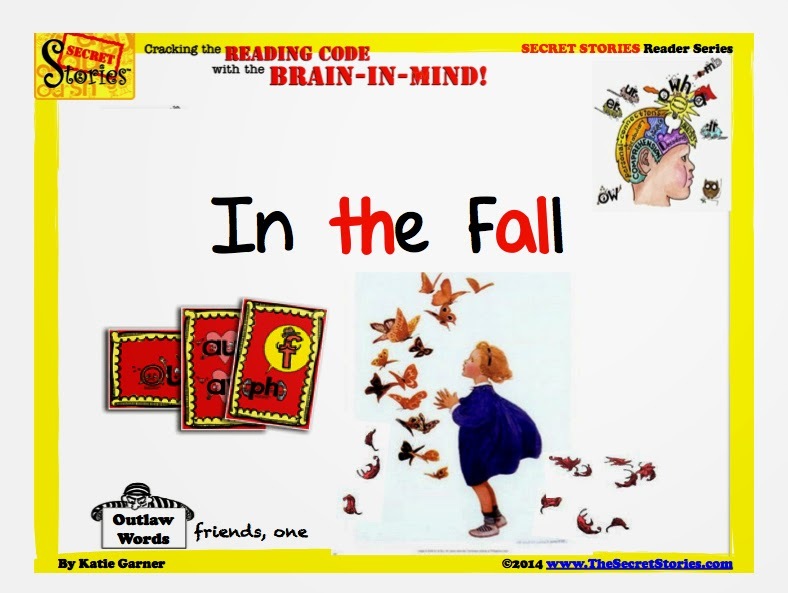 While it is critical that learners are equipped with the reading and writing tools they need to "crack the codes" in text, it's equally important to realize that the Secrets™ are simply the "keys" that unlock the door to world of reading and writing. Making meaning is the true goal of the game! We read and write for a purpose... and that purpose is not to accurately decode words on a page! While learners do need to know the Secrets™ to gain easy and early access to text, what develops them into fluent readers and writers is what happens after that! Teachers spend so much time trying to teach kids HOW to read, that often there's not enough time left over for thinking about WHAT they're reading... which pretty much defeats the purpose of WHY we read in the first place! 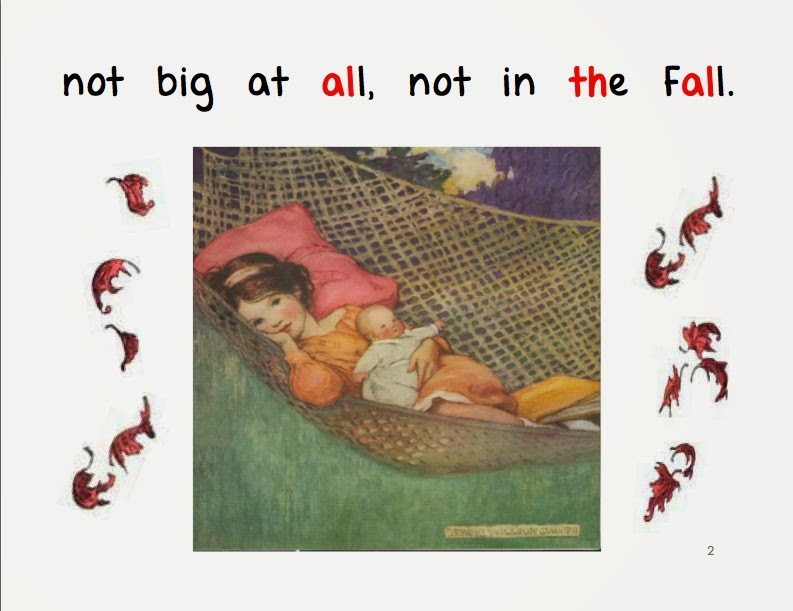 Below is an example of Deanna Jump's Guided Reading 101 (from my guest post on her blog) with some key SECRET STORIES® posters to show how easy it is to help kids sound out words with those tricky letter and phonics sounds....even in Kinder! 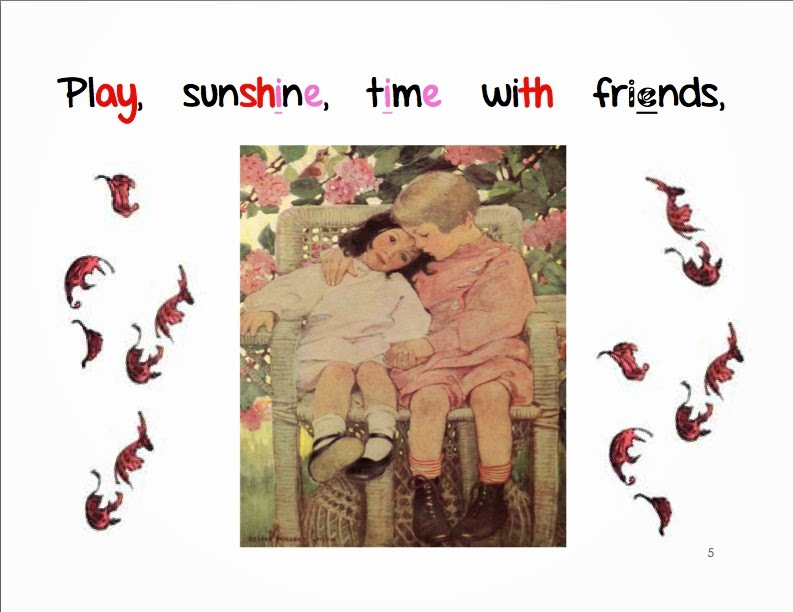 Download the free poster SECRET™ phonics poster sample set and see for yourself! Click here to download the FREE Secret Stories® sampling set! Click for the previous SECRET SESSIONS post! PS And don't forget to download the FREE Common Core Science Poster Sets for PreK-3rd!